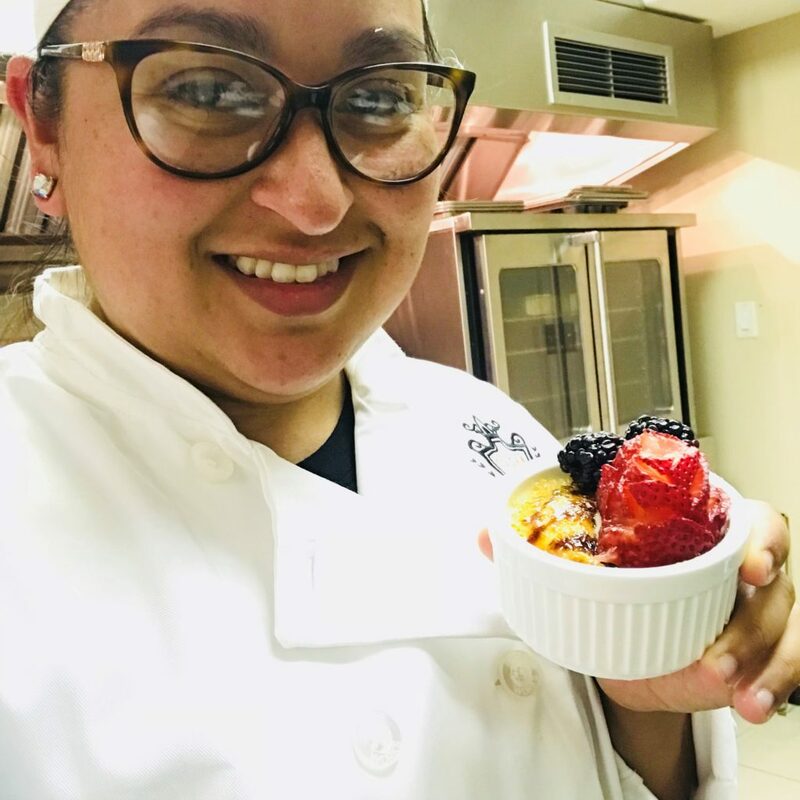 Jennifer Garcia is a middle-school band director with a hidden talent: she can whip up a signature, pink champagne cupcake that will bring tears to your eyes. 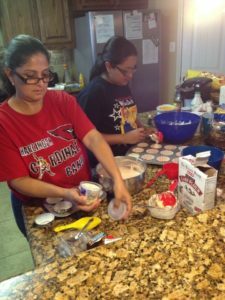 A closet baker her whole life, Jennifer has been perfecting her skills in the kitchen alongside her mother, Gloria, who taught her how to bake throughout childhood. The pair were often found in the family kitchen creating desserts for the family, especially around the holidays. It wasn’t until a few years ago, however, that a dream was reignited. Jennifer is a clarinet player who parlayed her abilities into a full-time career. She loves working with kids, especially the tweens she sees every day. One day, her mom picked up a cookbook called “The Big Book of Cupcakes” and asked if she wanted to try a few recipes together. 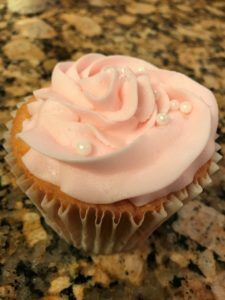 That invitation turned into eight hours in the kitchen, creating cupcake after cupcake, working toward absolute perfection. A dream born in her heart, Jennifer knew that one day, she would love to become a professional baker and have her own storefront. But her teacher salary didn’t exactly leave a lot in the budget to immediately pursue that dream. Fast-forward two years and Jennifer found herself at a new colleague’s house looking through jewel-toned Origami Owl Living Lockets. “I’ll never forget—my new coworker said, ‘if you’re going to buy all of this, you might as well become a Designer,’” shares Jennifer. Being a social seller wasn’t really on Jennifer’s radar, but after doing the math on the decision, she realized she could give it a shot. “I decided in that moment that if I was going to do this, I was going to go full throttle,” says Jennifer. She scheduled her launch party as a new Origami Owl Designer and began telling a few colleagues. She was shocked by their reactions. On the day of her Origami Owl business launch party, Jennifer was blown away. Her family and colleagues rallied behind her new business and her launch party totaled $700 in guest sales. 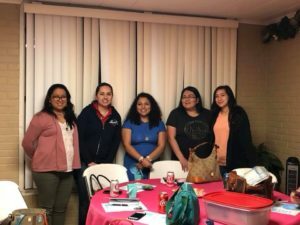 Soon, she was having so much fun that other friends and coworkers began asking how they could start their own Origami Owl businesses—she had never even approached them about it. When she promoted to Senior Team Leader with four Designers joining her team, she began to see the real potential of her business. 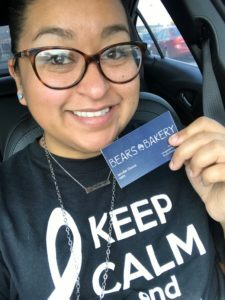 Now, instead of using the extra money to buy clothes and other fun things, she realized she could put her Origami Owl commissions to work to fulfill her lifelong dream: to become a professional baker. 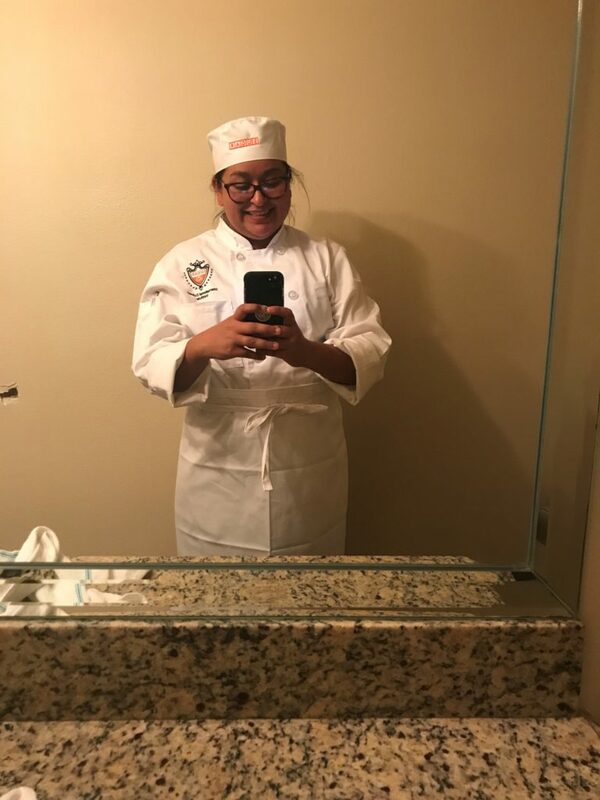 She marched straight to her local culinary school and signed up for classes. She even earned a scholarship. Even better? The monthly fee for culinary school turned out to be exactly what she was earning every month with her Origami Owl business. Now Jennifer is learning how to make cream puffs, eclairs, pizza dough, croissants, macarons, cakes and cupcakes in her spare time. And every second spent in the kitchen reminds her that she’s yet another step closer to her dream. Through it all, she’s felt the full, loving support of her husband, Kevin, and her family. In the process of growing her Origami Owl business, she also discovered something unexpected: a new family. 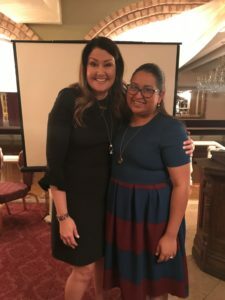 After telling her Mentors in “Team OWL-mazing” about her dream, she was immediately met with encouragement and support to go after it. 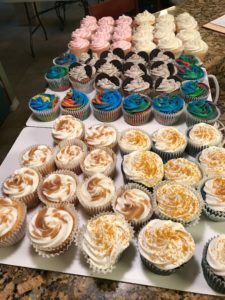 Because of that, she often brings cupcakes to team meetings, which led to eventually bringing her business cards to support her fledgling business. 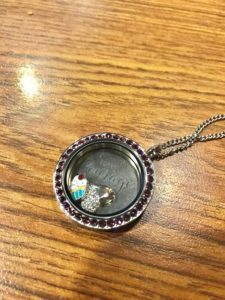 On one particular night at a team meeting, as she took the mic to share about her dream, she was surprised with a special Living Locket® with a Plate in it that said “Have Courage” with a Cupcake Charm. She was so touched, she began to cry.